Handcrafted sterling silver .925 plate with the top rolled over to be used as the bail for the chain with an 8 x 6 mm semi precious stone. Stone is in a bezel setting. Choose your chain length and stone. 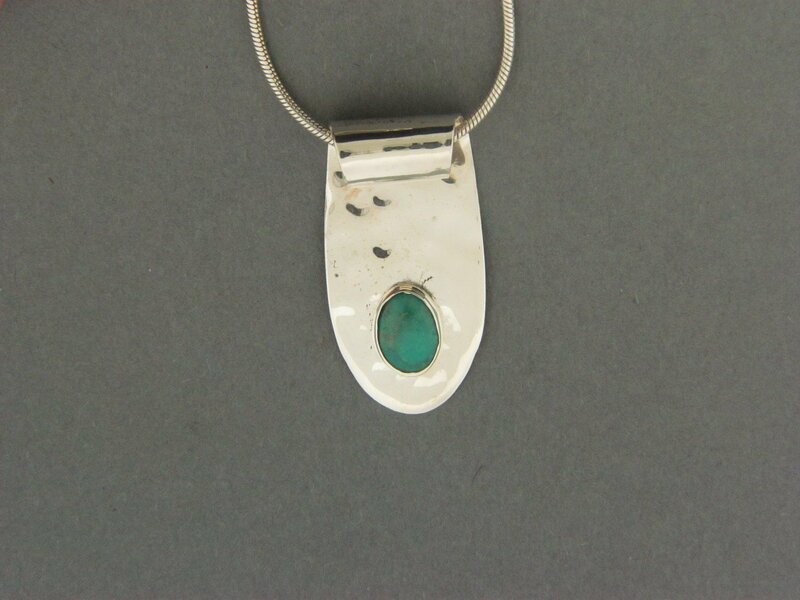 Shown with a turquoise stone.